Put Diesel in your petrol car? Put Petrol in your diesel car?Put the wrong fuel in you car in Aberdeen​ or surrounding town? Don't worry we have a Fuel Doctor right near you! If you have put the wrong fuel in your car, be sure to call one of our qualified local engineers in Aberdeen. We have Fuel Doctors covering all the local areas in and around Brighton. If you live in any of the following areas we can be with you within the hour and the process can take anything from 15 minutes to 30 mins to get you back on the road again. Fuel Doctor Thomson is a born and bred Aberdeenshire man and loves nothing more than playing golf in his spare time. No matter where you are in the Aberdeen area, we have a Fuel Doctor near you. We will be with you within the hour and with you for around 15 minutes for the fuel drain. Don't panic, just call us. Everyday roughly 120 people will put the wrong fuel in their car in the Aberdeenshire area, whether its diesel in petrol or petrol in diesel. It's a very common mistake and easily done, we understand that you need us there fast and to get back on your feet to get on with you life. 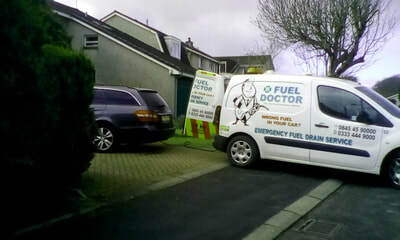 Fuel Doctor are a national company with technicians in Aberdeen on standby. 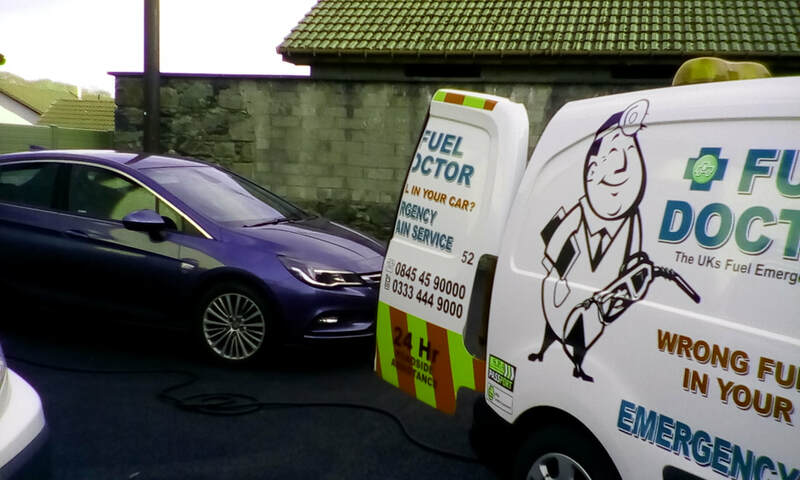 If you have put the wrong fuel in your car you can call us anytime of the day and you will have a dedicated local Fuel Doctor from the Aberdeen area to get you back up and running. We complete many wrong fuel recoveries in and around Abderdeen and Aberdeenshire, below are some recent images of our Aberdeenshire fuel doctor helping those that have put wrong fuel in their vehicles. This lady in Aberdeen found herself in a panic after injecting the wrong fuel into her vauxhall astra. 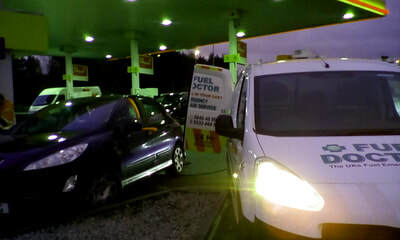 She contacted several fuel pumping services only to be given extortionate quotes for the work, lucky for this lady she called Fuel Doctor and after receiving our quote was overjoyed and we were on route to the scene. In no time at all our experienced professional engineers were in Aberdeen and able to drain the wrong fuel. This lady was relieved and grateful to our team for getting there so quickly and completing the work without hassle. If you find yourself in a similar predicament don't panic, call Fuel Doctor and let us take care of it, our staff are on hand night and day to get you out of trouble.